In a response to mass marketed perfume consumers are searching for more ways to express their own individuality by having scent custom designed. The monoliths of the fragrance industry continue to seek greater profits by going to countries with cheap labor costs and using more synthetic raw materials. In the meantime more and more consumers are interested in products made with natural ingredients, supporting the handmade movement, shopping local and having items tailored for them. What could be more luxurious than having a natural perfume specially crafted for your very own personal style. 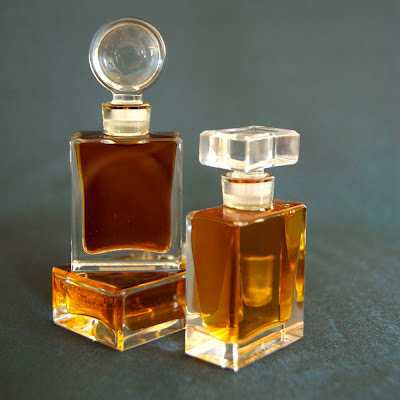 Here at the Illuminated Perfume studio I am developing several scents for individual clients. 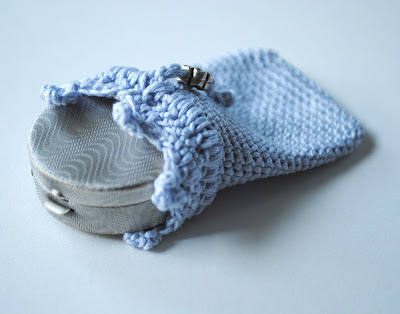 Besides creating a personal scent palette and supplying what I term as scent "sketches", the final liquid and solid perfume is delivered in customized pouches. 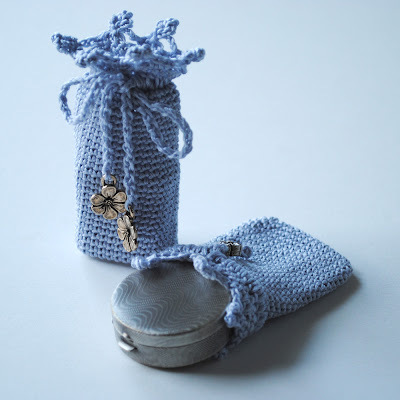 Pictured above and below are photos of the latest light blue custom scent pouches, also referred to as a bespoke perfume, that will be packed and sent off to the client this week.